Note: Special Shipping information - This item is shipped by ground and will therefore require an additional delivery time of 3-6 days in addition to the delivery timeline displayed above. This is only applicable for items fulfilled by Amazon. Oddly it says this is sold by Amazon.com Services, Inc -- but I became very suspicious as the scent did not match what I tested at Nordstrom. 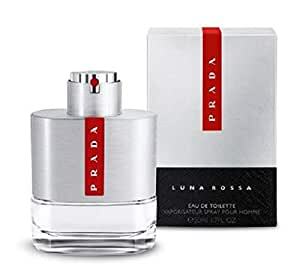 So I ordered Luna Rossa, Luna Rossa Sport and Luna Rossa Carbon in the sample sizes all which do not smell like the bottles being sold here (regular Luna Rossa). Unfortunately, it took me past Amazon's return policy to determine this. I also took this bottle to Nordstrom again to compare and it doesn't smell right. 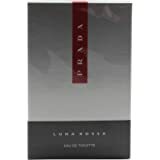 My wife LOVES this fragrance! I have reordered it several times. Yes this is the real product for this price. I have bought it from Macy's a couple of times and I cannot tell the difference if it is a knock off. Which I am sure it is not. Those that claim it is probably have never really purchased it before. Or maybe they got a bottle that had been sitting in a warm place for a while. This does have alcohol in it and will breakdown over time. I can tell you, I love it, she loves it, I will buy it again. 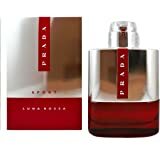 It is light and crisp and is a great everyday fragrance. I get compliments every....single.....day on it. I would definitely recommend the purchase. 5.0 out of 5 starsMy man smells soooo fresh and clean! My boyfriend is so happy with this cologne and so am I! It's really soft and not harsh at all smells extremely cream and crisp, if I had to describe it and I'm sure it's a poor description of it but it smells like the cleanest crispest soap ever with a touch of lemon maybe? I don't want to screw it up, but I just can't get enough of this smell! Don't buy this!!! This is FAKE!!! You can tell by the cheap bottle imitation. I want my money back!